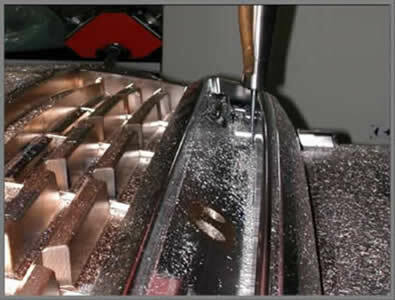 Finish mold machining starts with a large cutter to remove the material and finish open areas. 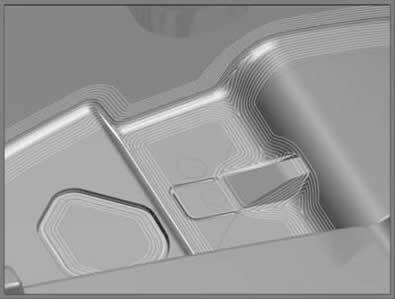 Detailing is a method of reducing stock left in the corners with ever decreasing cutter diameters. A stock model or reference tools to identify the areas to be detailed. We then offer several different strategies to allow efficient removal of stock left in these corners.